Wore this last night for dinner with the hubs. 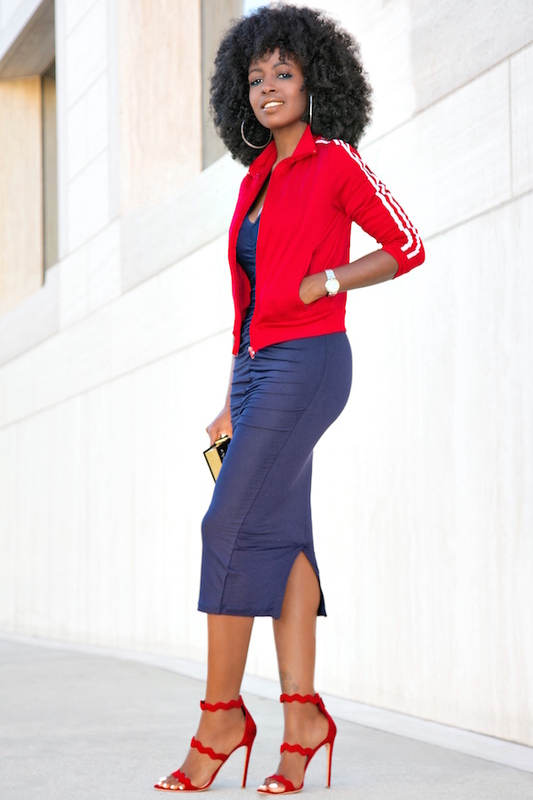 Paired the dress with a track jacket for a more laid back vibe. PS- How fab is this jumpsuit we debuted this weekend?! Can’t wait to wear mine!